Child Care providers all over the world have to meet high childcare standards to stay in business. These standards only work if the provider operates commercially to the same high standards. That is why we have several thousand users, because ChildsPlay is key to running your settings to those high standards. I have been using ChildsPlay as a Nursery Management system for 10 years with different Nursery Companies. I have found the software easy to use and have found that it can be tailored to suit the particular needs of the Nursery Company. When I first started to use it ten years ago I was involved with the NNI nurseries which meant looking at term time only attendance – the system was adapted at that point to accomodate this method of invoicing. The support systems are very well managed. A call to the office will get an instant reply and promises to ring back with further help are always honoured. It has always been the management system of choice for me and I have introduced it with two companies. We have been using childsplay for many years now and would highly recommend it for any day nursery. Above all the system ensures smooth running of our business and we are able to produce population and financial figures very quickly and accurately. This is excellent value and is a very simple system to use. the program to meet our needs. reasonably priced and I only wish I had gone with them originally. We have been a customer of Childsplay for 21 years since 1992 ! During that time the service has been second to none. The team have been brilliant with their support and help particularly when we became a Children’s Centre. We would recommend Childsplay all the time. 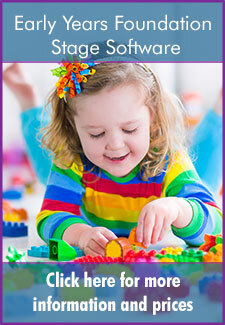 I have been using ChildsPlay for many years now, and have found the system is very flexible and easy to use. If I have any special requests the support team have worked with me in developing a way to enable the option on the program. The program reduces the time I need to spend in the office producing invoices at a click of a button. Each time a child signs up or alters their sessions after just spending 10 minutes completing the self explanatory form everything is in place from invoicing to milk reports, child information sheet and registers.